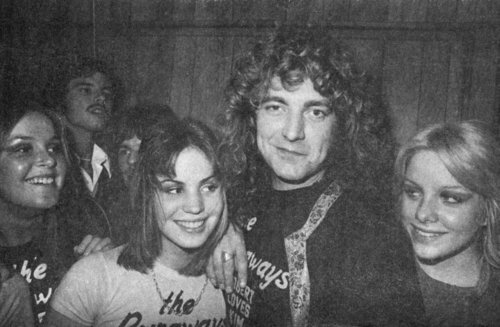 Lita , Joan and Cherie with Robert Plant ( Led Zeppelin ). . Wallpaper and background images in the द रनअवेस club tagged: lita ford joan jett cherie currie robert plant the runaways led zeppelin vocalist photo rock. This द रनअवेस photo might contain चित्र, headshot, closeup, हेडशॉट, and क्लोज़अप.